The end of World War II marked huge changes on Asian societies. 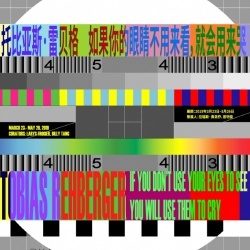 In the domain of art, one powerful manifestation of such changes is the radical transformation of the previous artistic practices towards new forms to be shaped by prevailing ideologies and nationalism sentiments. 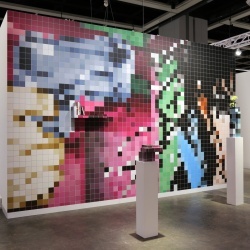 Only after the end of this chapter of history could the artists and curators retrace, review and reconstruct the artistic practices of this period in full light – which became an important part of the contemporary art since 1980s in this region. 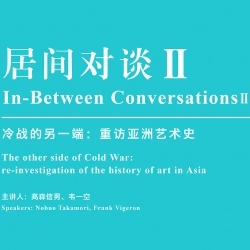 among other countries, the talk will shed new lights in understanding of the complexity and peculiarity of contemporary art in Asia. 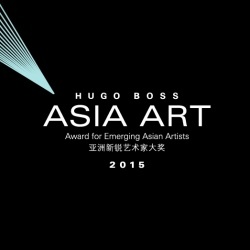 This talk is the second part of the “In-Between Conversations” of HUGO BOSS ASIA ART 2015. 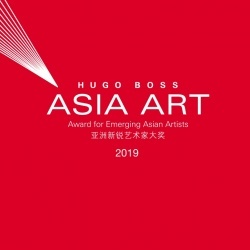 HUGO BOSS ASIA ART invents an evolving platform for emerging contemporary artists as a biannual award, a group exhibition featuring finalist artists and an on-going research and education program. 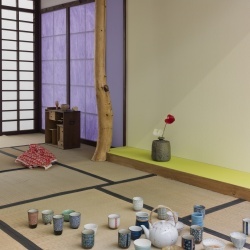 Nobuo Takamori, curator of Kuandu Museum of Fine Arts in Taipei National University of Arts; Director of “Outsiders Factory”, a curators collective; selected important exhibition curatorial works include “Post-Actitud” (2011, Mexico DF), “South country, South of Country” (2012, Ho Chi Minh City), “The Lost Garden” (2014, Eslite Gallery, Taipei), Taiwan International Video Art Exhibition 2014 “The Return of Ghosts” (Hong Gah Museum, Taipei), “I Don’t Belong” (2015, Galleria H., Taipei) and “Wild Legend” (2015, Jumin Museum, Jinshan). 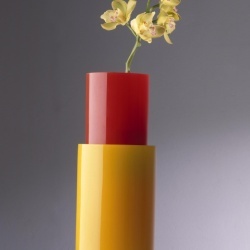 Frank Vigneron received a Ph.D. in Chinese Art History from the Paris VII University, a Ph.D. in Comparative Literature from the Paris IV Sorbonne University and a Doctorate of Fine Arts from the Royal Melbourne Institute of Technology. He joined the Department of Fine Arts, CUHK in 2004, teaching courses on the History of Western Art, the theories of Modernism and etc. His research focus is on the history of Chinese painting from the 18th century onwards and on different aspects of contemporary Chinese art seen in a global context.